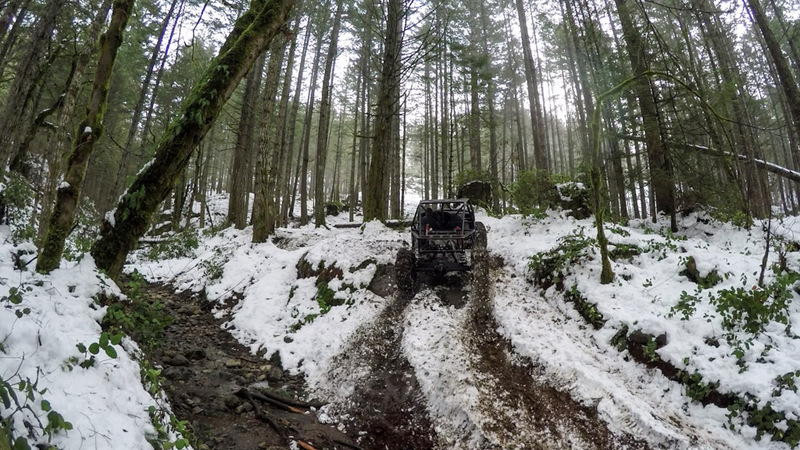 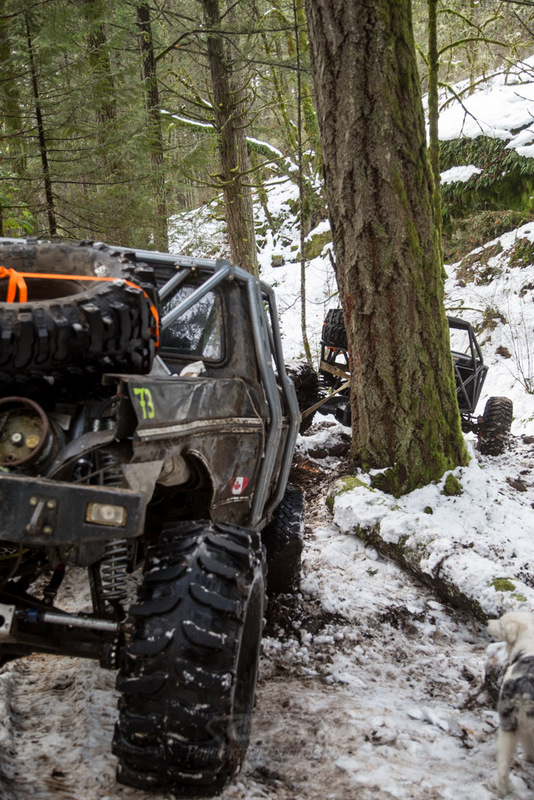 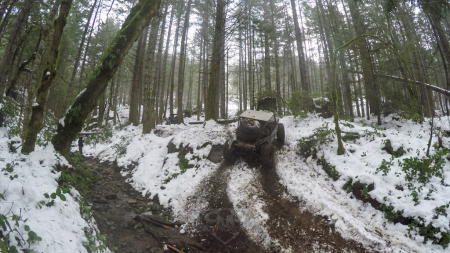 With the chains on Jon’s rig it just dug its way up the trail like nothing. Once he had got up to the truck the guys got to work. First task was straightening and locking the steering on the rear axle. 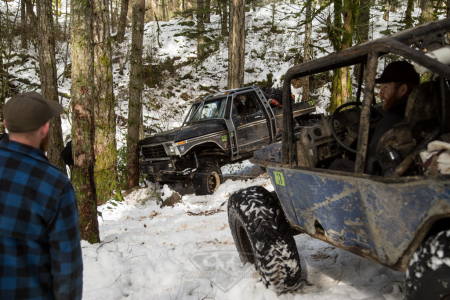 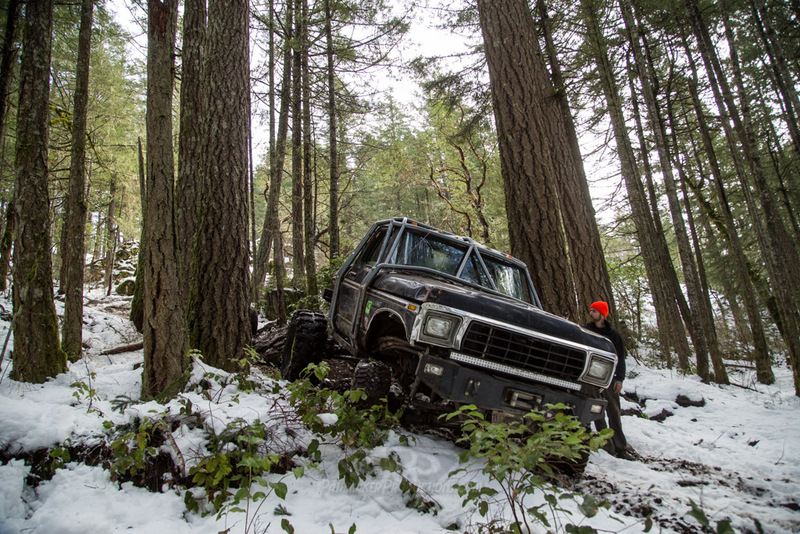 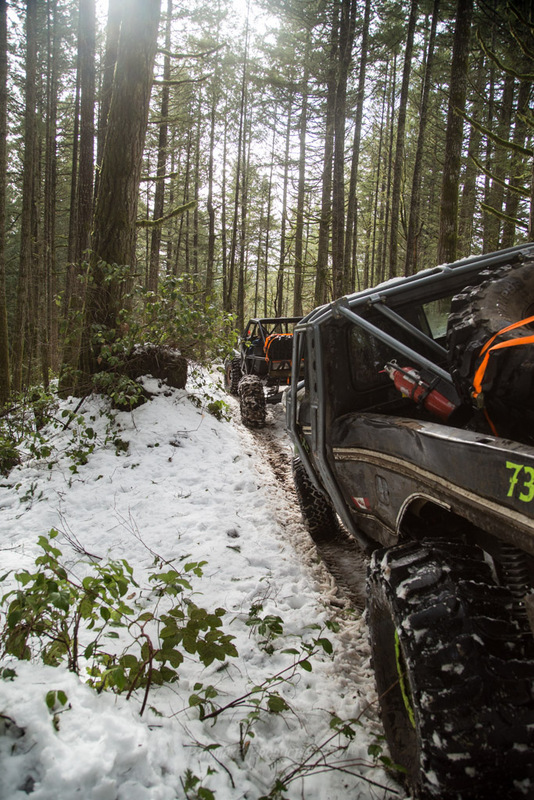 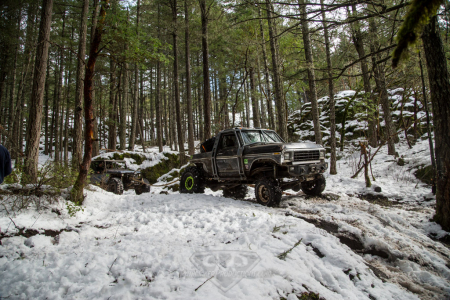 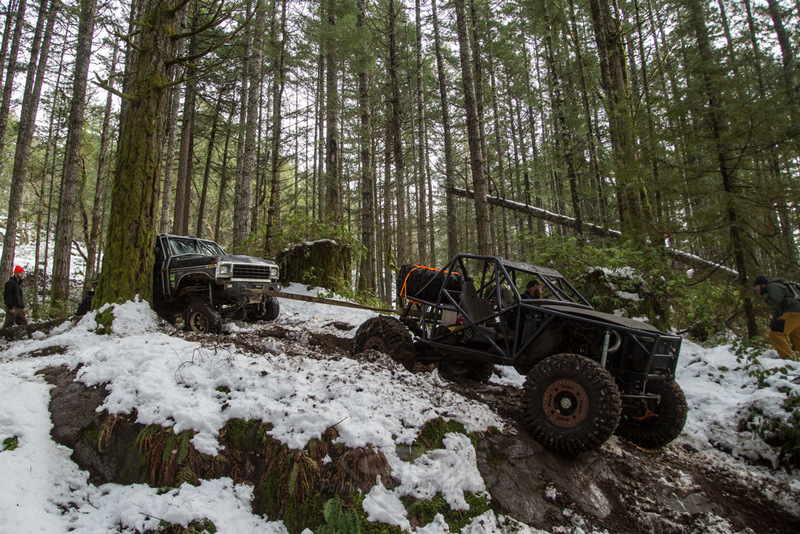 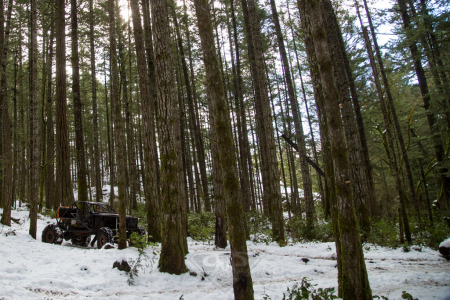 The Ford has 4 wheel steering, which is great for wheeling tight trails, but not great when the rig is not running. 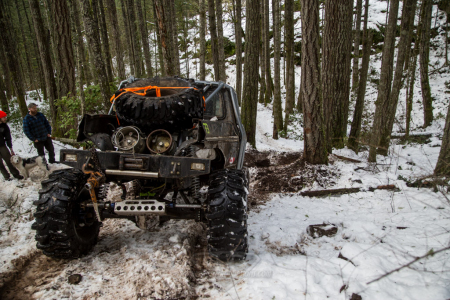 Thankfully Mike had a lockout built into it, but requires getting the steering straight first. 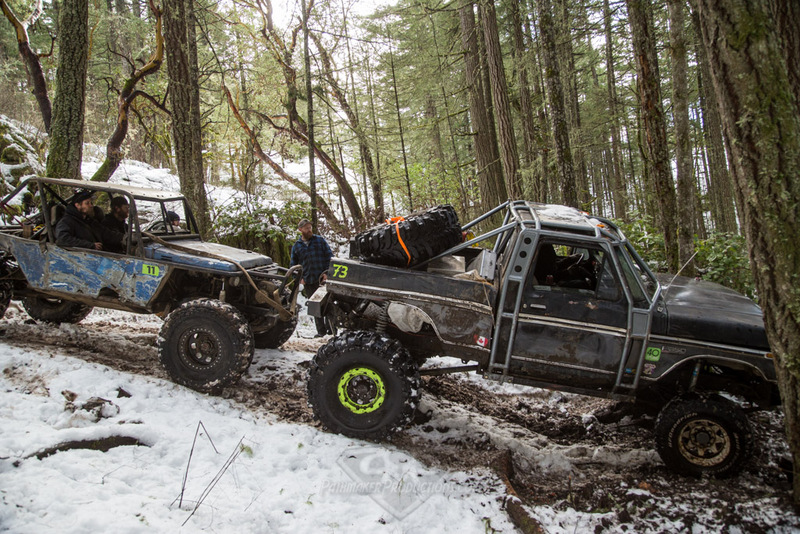 Then it was on to bolting up the 33″ tires that we brought up. 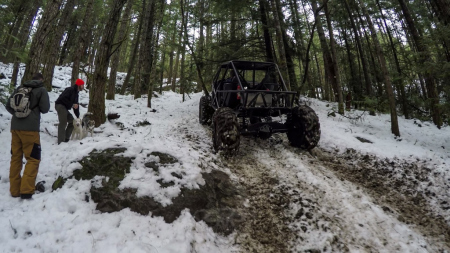 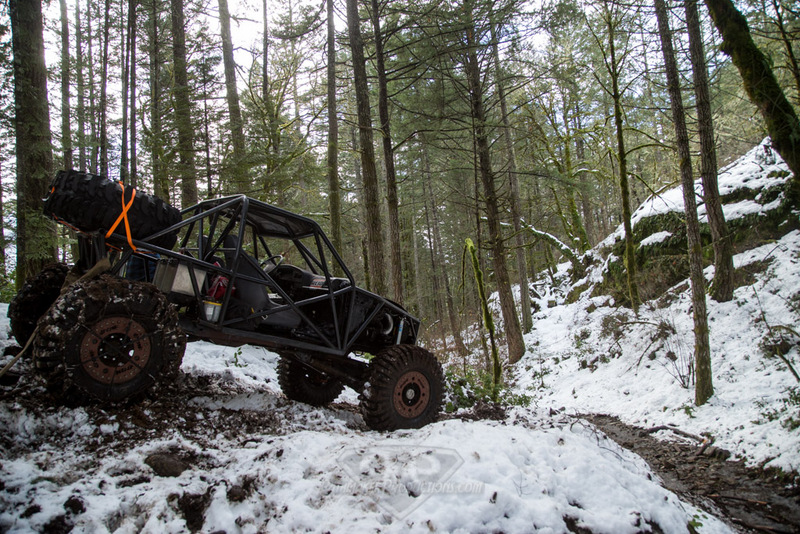 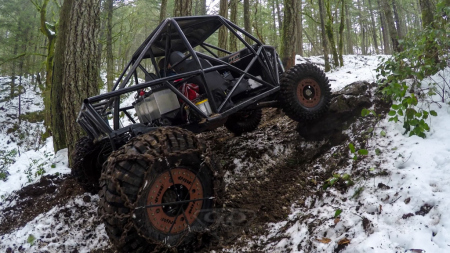 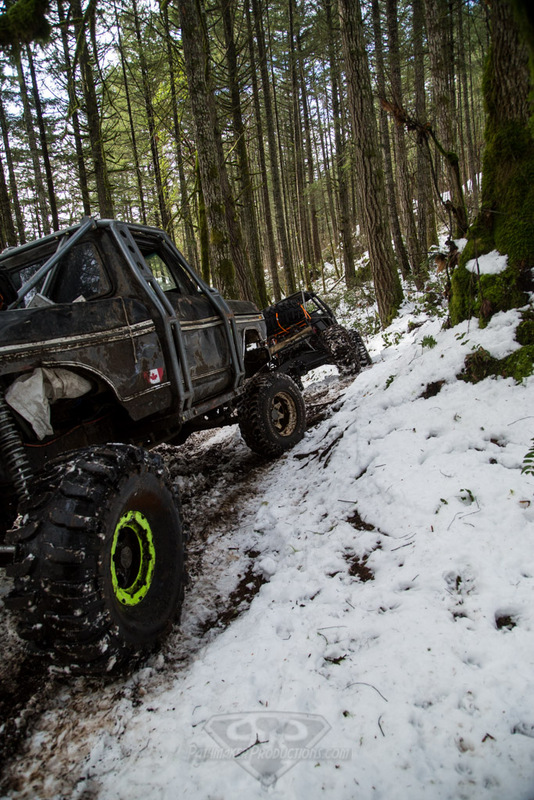 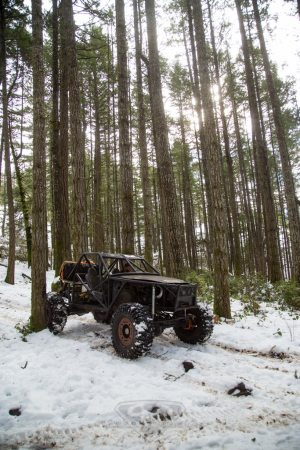 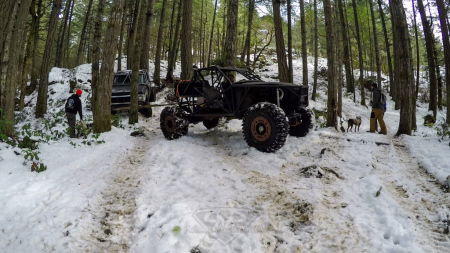 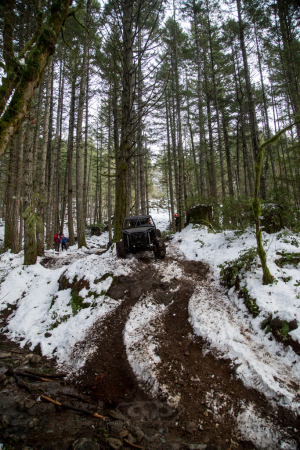 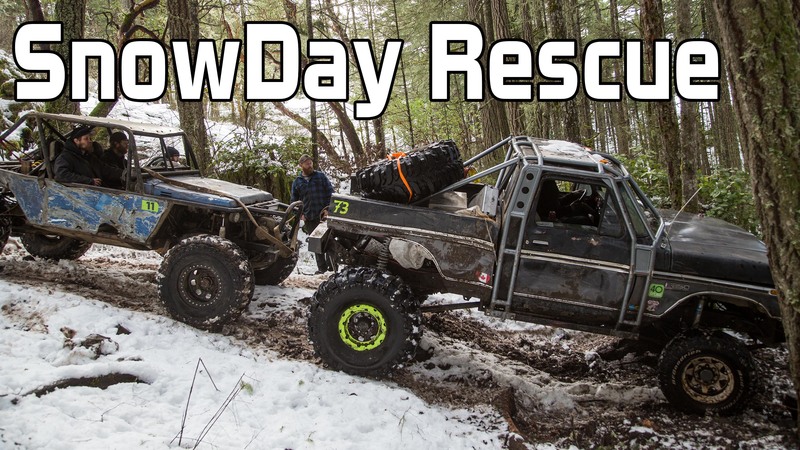 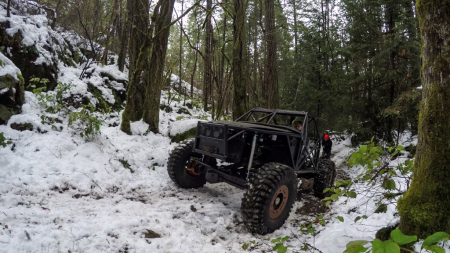 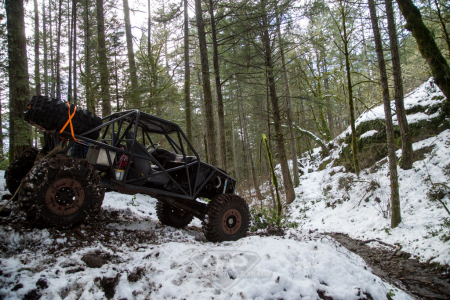 The idea behind them was the 44″ tires would want to grab everything and not steer as easily. With the front locker open and the 33″ tires he should be able to turn a bit while the rig is rolling. 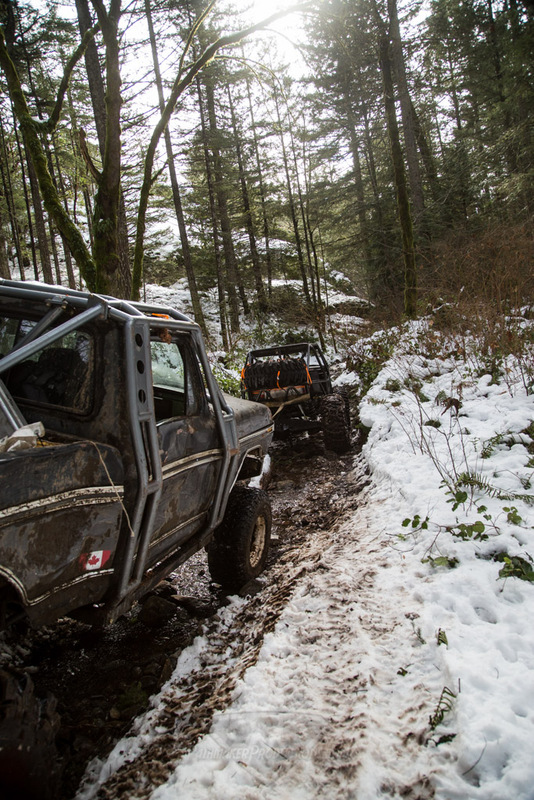 After the prep it was time to hook the strap to the back of Jon’s Toyota and start pulling. With Mike behind him (and sporting a killer 5hp motor in his Warn 8274) he could pull him backwards or sideways if need be. 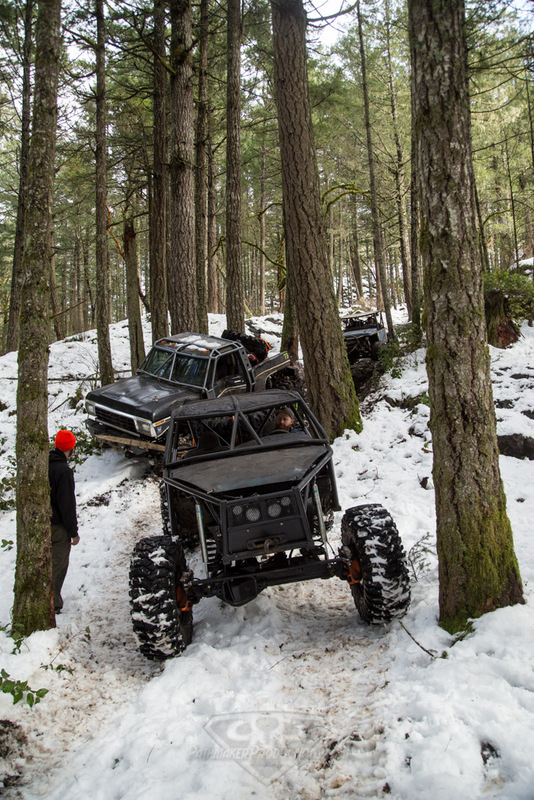 We started making our way down the hill. There was a few problems, Mikes brakes don’t work great when his rig isn’t running. Thankfully he has a new mini-starter in it that started putting in major work. 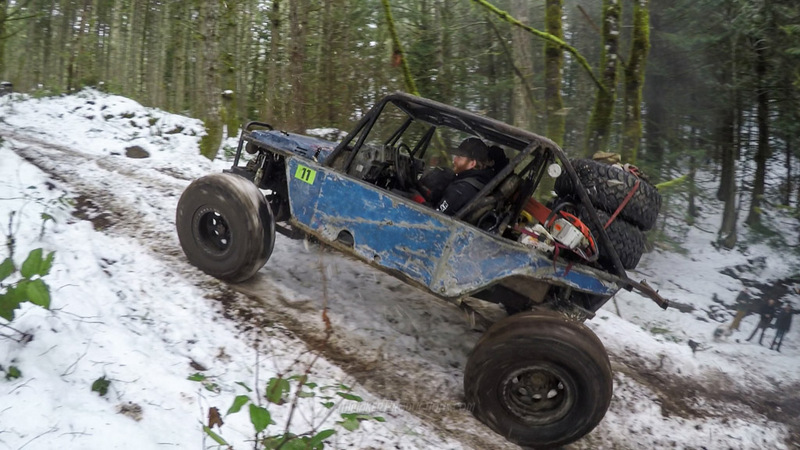 Leaving it in 1st gear and cranking the starter would pull him up some of the spots. 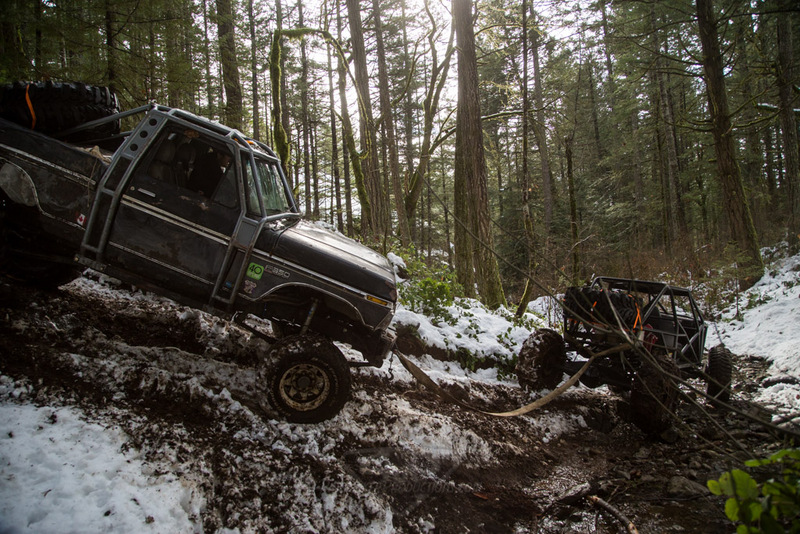 It was good the engine wasn’t locked up and still allowed the starter to crank (once we popped the coil wire off so it wouldn’t just flash up).